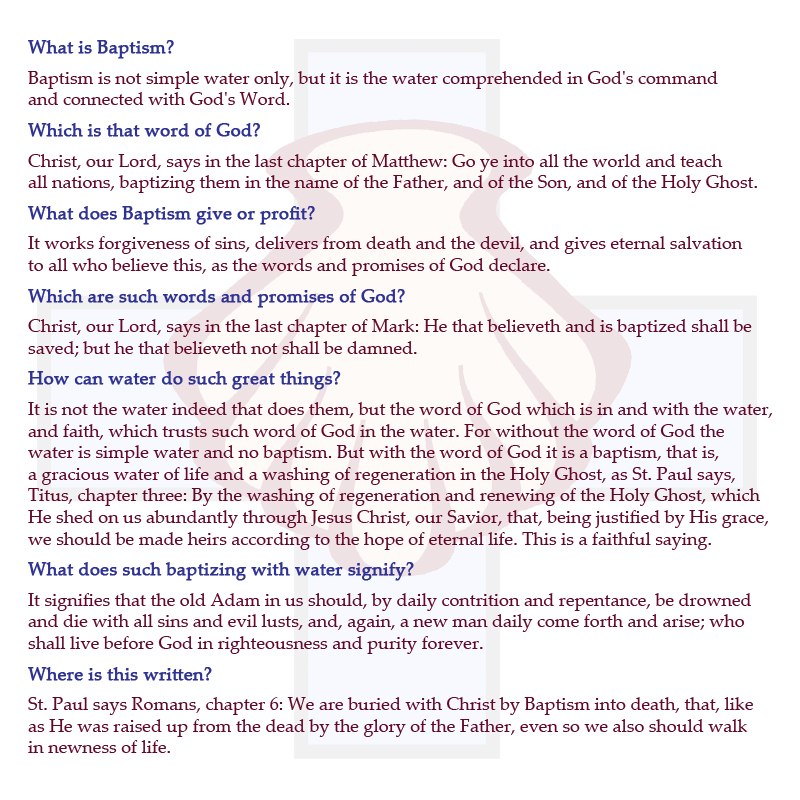 Interested in being baptized or having your child baptized? Baptism is entrance into the Church and particularly the fellowship at Our Savior in Pagosa. Therefore, usually the family is regularly attending Our Savior to hear and receive God’s saving Word of forgiveness in Jesus Christ. 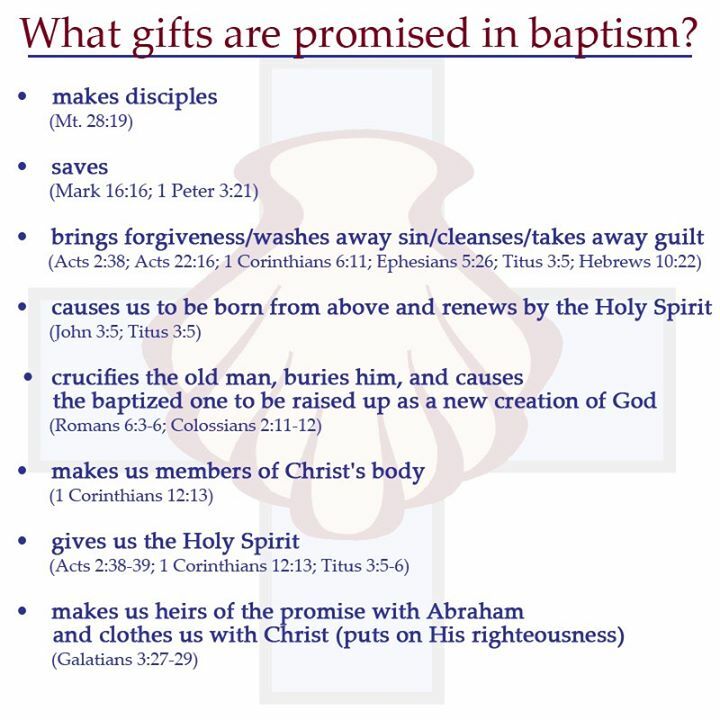 After this, the pastor will meet with both parents and instruct them in what we believe about Holy Baptism, review the baptismal service, discuss the need for sponsors, and talk about how Holy Baptism is sustained in the home and in the church. After this we schedule a Sunday service time for the baptism. If you’re interested, please contact the pastor.